Urinary incontinence ​(leaking urine) is a fairly common problem in spayed female dogs as they age. Quite often, your dog will be unaware that she's leaking urine, though you may be very aware of it when it happens inside your home. The good news is that your veterinarian may be able to prescribe a medication to help. What Is Urinary Continence in Female Dogs? Urinary incontinence refers to unintentional leakage of urine by housetrained dogs. This is fairly common; it affects about one in every five spayed female dogs, especially as they get older. Sometimes urinary leaking involves just a few drops of fluid; at other times, it can involve unintentional urination of quite a lot of fluid. Urinary incontinence is not intentional and it isn't susceptible to self-control; as a result, it can't be treated through behavioral training. While any breed of dog can become incontinent, the problem is most common among cocker spaniels, old English sheepdogs, springer spaniels, and Doberman pinschers. While urinary incontinence isn't harmful in itself, if left untreated it can lead to skin conditions or, in some cases, to more serious kidney or bladder infections. There are a variety of potential causes for urine leakage, including infections and physical abnormalities. The most common cause of incontinence in middle-aged or senior spayed female dogs, however, is the lack of estrogen resulting from being spayed. This is known as hormonal incontinence. This type of incontinence happens because estrogen strengthens the dog's muscles which control urination. When the hormone levels become lower with age, her muscles can no longer hold urine in the right place. As urine collects in the vestibule area, it can then leak out when she moves and most commonly occurs when she gets up or lies down. In most cases, urinary incontinence is the only problem, though sometimes a urinary tract infection is seen as well. If your spayed female dog has problems with urine leakage, such as a pool of urine left on her bed after sleeping, the first step is to see your vet. She will likely call for a urinalysis and bloodwork to rule out a urinary tract infection or other diseases such as diabetes or kidney disease. Traditionally, drugs containing phenylpropanolamine (PPA) have been used to increase the smooth muscle tone of the bladder and urethra to help control the flow of urine. This class of drugs is not hormone-based, however. PPA was used in human medications for colds and appetite suppression (weight loss) but has been removed from the human over-the-counter (OTC) market. In 2011, the U.S. Food & Drug Administration (FDA) approved Incurin, the first hormone-based incontinence medication for dogs. This drug is a natural estrogen hormone and is labeled only for hormone-responsive incontinence in female dogs. Estrogens increase the resting muscle tone of the urethra in females and can be used to treat female dogs with urinary incontinence due to estrogen depletion. The introduction of Incurin is a welcome change in the treatment of female dogs with urinary incontinence. It is the first medication that is dedicated to treating the root of the problem and restore estrogen levels to those similar to a younger, unspayed dog. If hormonal incontinence is diagnosed, your veterinarian can help determine the best treatment to help manage this condition for your dog. She may feel that Incurin is not a good option, but it is a viable choice for treatment. Unspayed female dogs are less likely than their spayed counterparts to experience urinary incontinence. 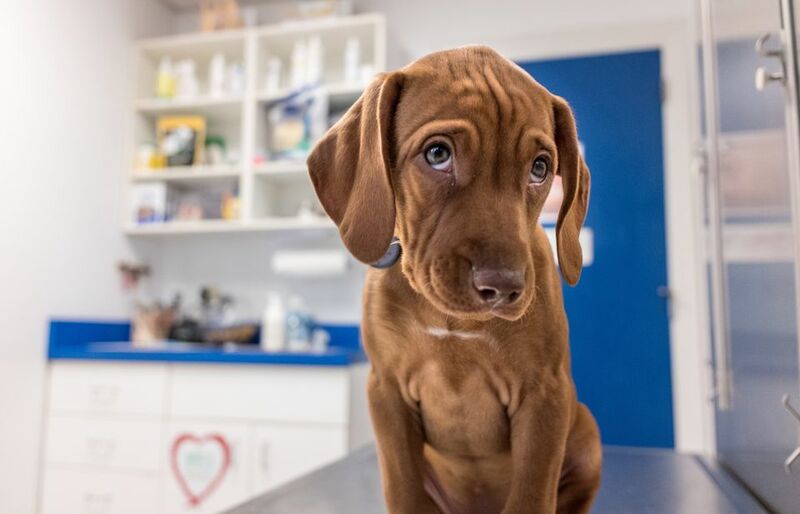 Spaying, however, is an important way to ensure that your pet does not become unintentionally pregnant—and caring for an unspayed female dog can be challenging. Rather than actual preventing urinary incontinence, therefore, the best option is to keep a close lookout for the problem and to address it quickly. By nipping the problem in its earliest stages, it's easier to avoid any skin or bladder issues (and, of course, it's easier to keep your home urine-free). In addition, as urinary incontinence can be a symptom of a more serious issue, it's important to have a vet address the problem as early as possible.